Spartina 449 Maritime Chloe Backpack - P.C. Fallon Co.
All remaining stock of Spartina 449 now marked up to 70% off for clearance! 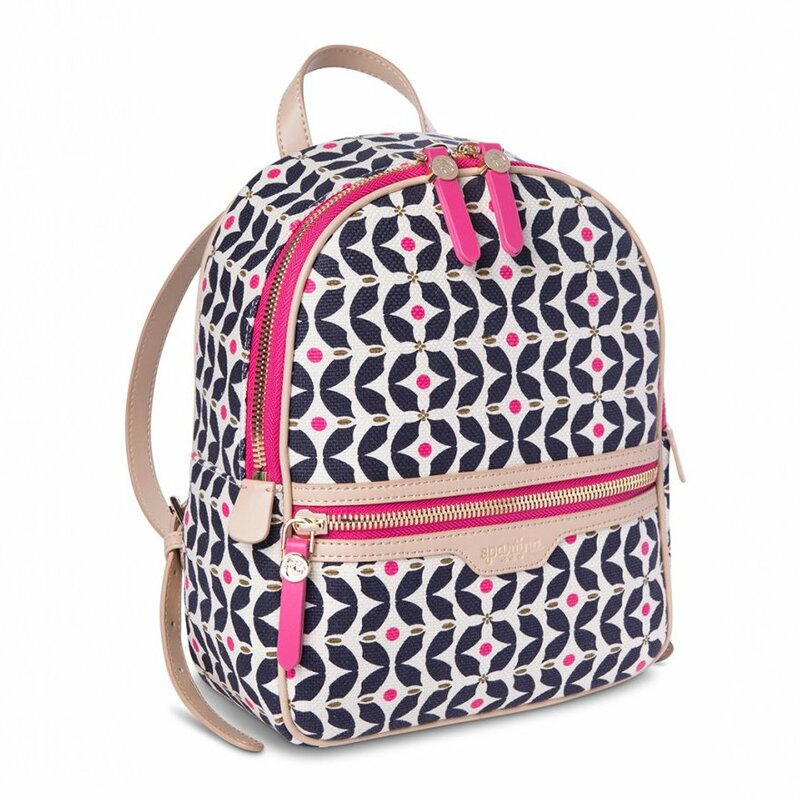 The Spartina 449 Maritime Chloe Backpack is compact and smart, with organizational details that you will love. The adjustable leather shoulder straps and top handle provide comfortable and versatile carrying options. On the front find a zippered pocket for easy access to phone, keys, etc. Zipper closure. The interior is lined with fuschia polyester lining, and is surprisingly roomy to accommodate a tablet, wallet, and more. The interior contains 1 zipped pocket and 2 open pockets. The Maritime linen pattern sports a rhythmic geometric design in nautical navy and ivory linen, with pops of fuschia and olive green accents. Leather accents in light tan and hot pink. Spartina 449 is embossed on the front, and on the back. Four gold-toned signature mermaid feet protect the base. Constructed with European linen and genuine leather. Dimensions: 9" x 11" x 4".